This past weekend I was able to accomplish one of my 101 in 1001 goals. I was at a meeting last week and we got off on to the discussion of fruit stands and pick-your-own farms. I was so excited to find out that it was strawberry season (yes I was clueless because I do not know the “in” seasons for fruit). They informed me of the best sites to visit and then I began my research. 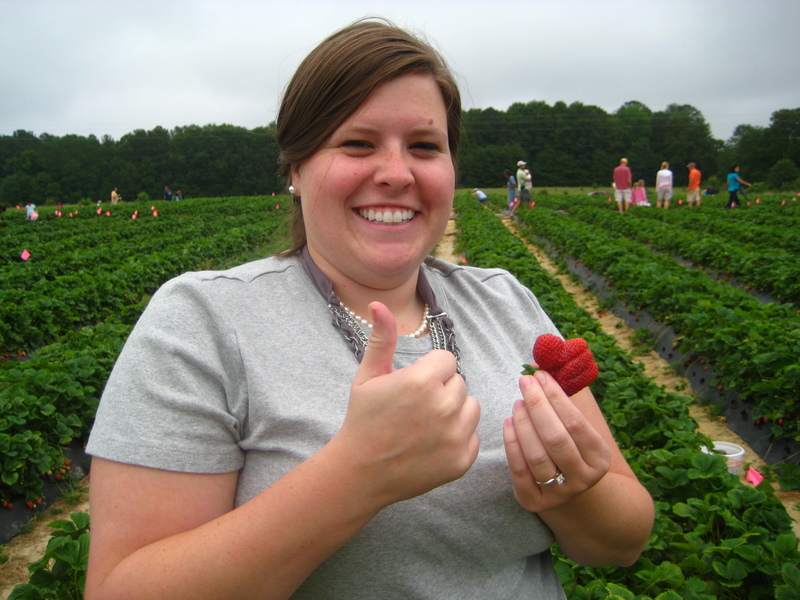 Luckily, the same week, one of my Facebook friends posted a picture of her sweet family at a strawberry farm. I thought this was perfect timing since it was nearing the last day of the season and I wanted to surprise my dad for his birthday with something different and fun. 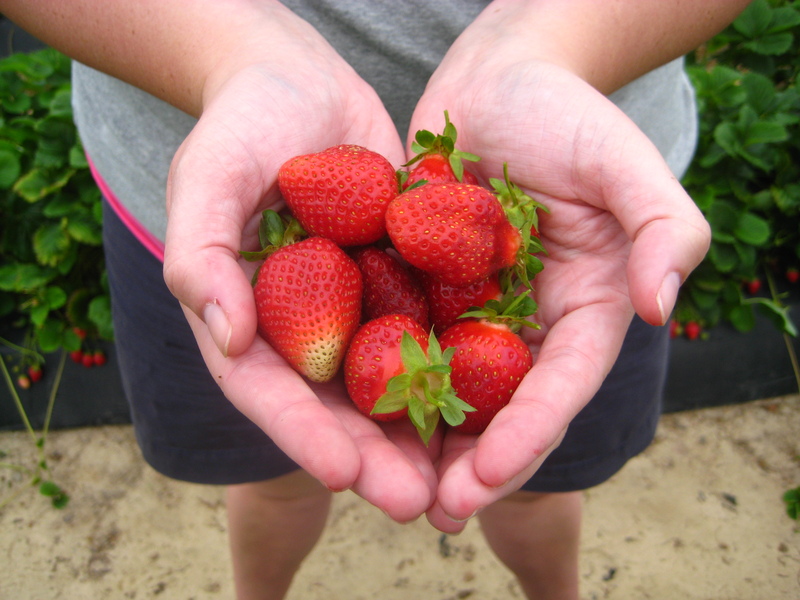 We went and picked strawberries and it was a good time. We ended up with two gallons of strawberries and have made some delicious fruit foods. My dad made a great strawberry pie for dinner and we have since used ours to make some homemade strawberry jelly, Strawberry Romanoff Dessert, and strawberry muffins. We still have about a half a gallon of strawberries left so we are thinking of cutting them up and freezing them until it is time to make homemade ice cream! 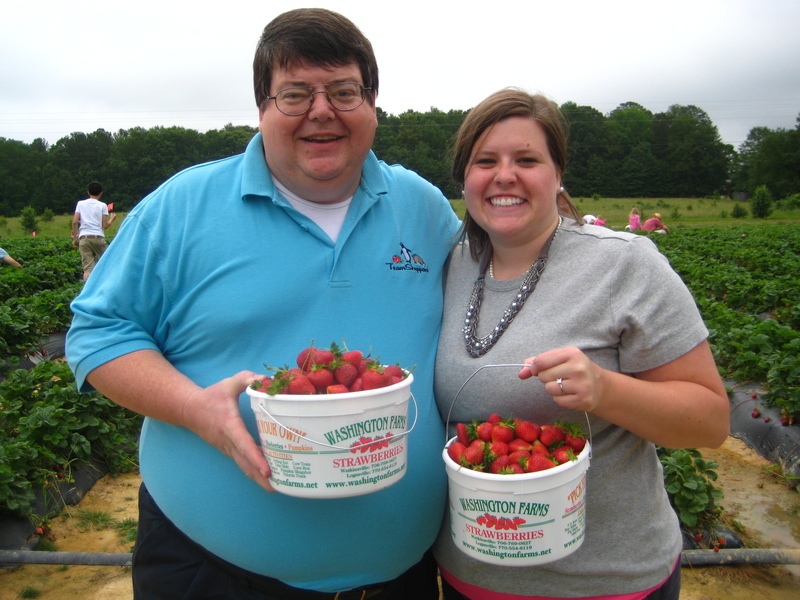 Here are a few pictures from our strawberry picking festivities. This entry was posted in 101 in 1001, Uncategorized and tagged 101 in 1001. Bookmark the permalink.